The 2018 edition of the "Italian Baja di Primavera" (23-25 March 2018) was held in a truly spring-like setting. 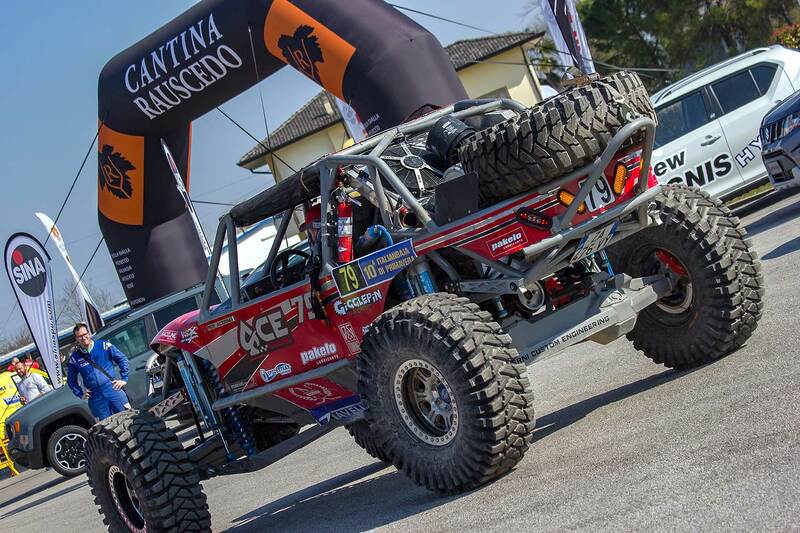 The new category in the TX race for similar Ultra4 prototypes was tested by the Ace Acerni Racing crew formed by Pier Acerni and Nicola Bondi, the other registered crew of the Rocks 4x4 with Venturini Fabrizio has unfortunately had to give up due to personal problems, to which we formulate a prompt remittance for the next Italian Baja in June. For the "pioneers" of the TX it was their epic event with special fast and flowing "with ample space as we like" says Pier Acerni, "we reached the 160 km maximum speed! The roadbook was smooth with some more difficult stretches dedicated to our extreme TX class. It was so fun I can not wait to participate in the next one." His navigator Nicola Bondi with whom, let's remember, has already conquered the absolute podium in the Xtreme Challenge Andorra, admits to be a beginner in the road book, but "the experience was unique" he says "and fun!" Together they started this adventure in Friuli territory last November, at the "Italian Baja d'Autunno", where they were able to present and submit the machine to the Italian Baja verifying technical commission for a complete "check up"; with a full marks promotion he could then test a lap of the route, completing it already with the best overall time. 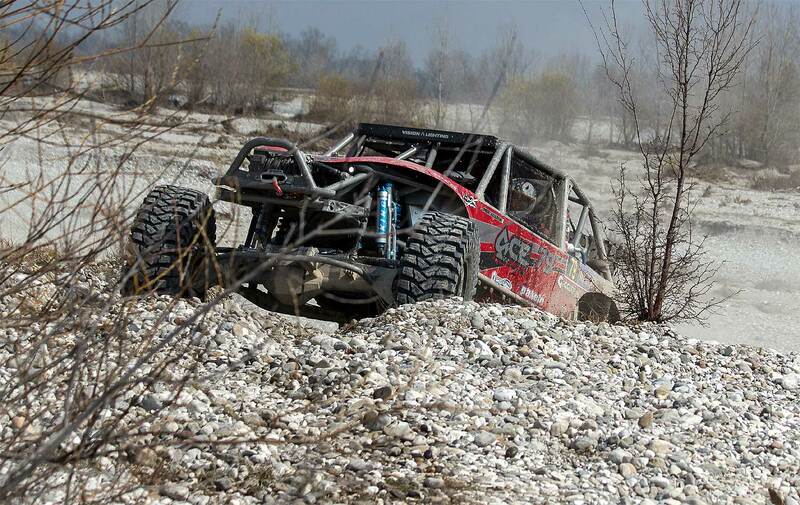 The premises were all in order to participate and we saw "Scarlett79" the starting grid of the first Italian Baja of Spring, timely and determined to show what is worth. The car has unleashed all of its 680 hp, an incredible power on the bumpy, a stability in fabulous speed and Pier has been able to dominate this "sacred monster" with a dexterity as a true off-road-rider. Only small technical problems have caused delays on the roadmap, but there is, the car is new and we are sure that the Acerni Team will treasure all the necessary improvements. 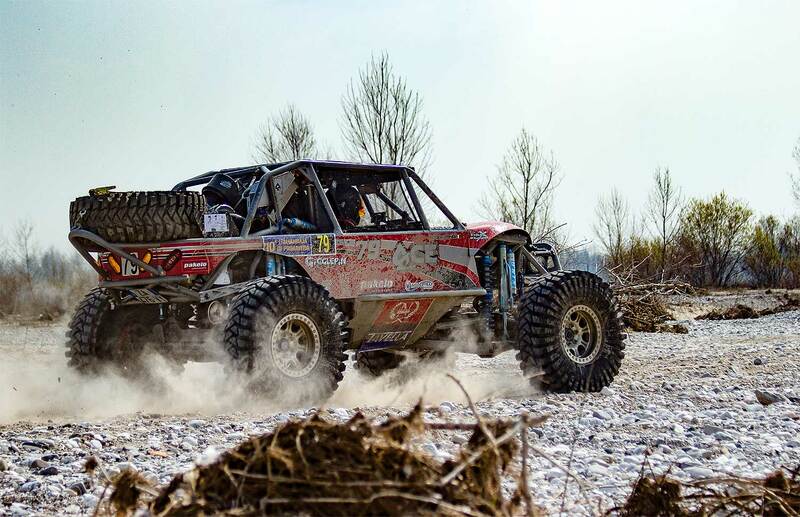 These are the main characteristics of this vehicle: Mopar 680 hp engine, 40x13.50 R17 tires, Racer Monster beadlock 17x8.5 rims, ATI Super 400 automatic gearbox, TWF gearbox, Spidertrax ProSeries 10" axles, King Shocks 2.5" coilover shock absorbers and 3.0 bypass, Jimmy's 4x4 chassis, CBR radiators, PSC Performance steering, Gigglepin GP100 winch, PRP seats and belts, VisionX lights. All this now also approved by the FIA technical regulation, a respectable technical passport. To support the new adventure of Team Acerni has also kindly lent his friend Romeo Manzan, who remembered being his navigator at the first edition of the King of Valley, achieving a clear victory, together they then participated in the famous "King of the Hammers" in the US. The route, designed by the Italian Baja organization for the Baja di Primavera, has had to deal with a not so good weather in the days before the race, so much to cancel most of the shore, transferring the entire route on the Tagliamento of the Tagliamento, unfortunately at the time it is not controlled, but the Italian Baja is always vigilant and respects it. The appointment for the next Italian Baja, stage of the FIA Cross Country World Cup, is set. The Baja, bytheway best organized FIA Cross Country Event in 2017, will celebrate its 25th anniversary, a date not to be forgotten from 21 to 24 June 2018.